Indubitably, technological advancements are changing every industry’s processes and operations. What’s more, these advances are also providing essential benefits to every consumer as well. And, this is also the top reason why the retail and commercial industry is taking advantage of technology. One of the latest technologies being used in this industry is the automated kiosk. It has the capability to provide real-time data efficiently. Consumers may be able to get the right information they need for a product. Plus, these kiosks can also provide better consumer engagement and buying experience. However, this kiosk also requires a reliable computing system. This is to ensure that it can perform certain functions effectively. Amongst the most recommended computing equipment for kiosks is advanced panel PCs. In brief, this computing device can withstand any type of environment including frequent usage of the general public. This equipment also features projected capacitive touchscreen technology. So, how can this device help in improving the kiosk services? Why is it an ideal computing solution for automated kiosks? Read on through this blog and learn more about its details. How does an advanced kiosk change customer’s behaviour? Generally, this kiosk can help improve the general consumer buying experience. It gives them the ease of use since it is integrated with a capacitive touchscreen technology. Consumers can easily navigate a preferred application by tapping the displayed icons on the screen. Furthermore, this kiosk can function efficiently since it is built with industrial-grade components. It also has the highest degree of protection available for a device. Thus, potential risks such as water intrusion, dust ingress, heat and humidity can be prevented. Also, an industrial PC with projected capacitance is scratch-, dust- and water-resistant as well. So, expect that kiosks bearing this device can help in improving the kiosk services. Having a kiosk with an automated system offers convenience and innumerable benefits. Apart from that, businesses can also take advantage of utilising advanced kiosks. Here are some of the benefits of using kiosks with embedded touchscreen PCs. Kiosks with advanced PCs can have multiple diverse applications. To name a few, processing credit applications, general access to product and service information, managing gift registries, and many more. Note that industrial computers can have a compatible system processor. It is designed to perform industrial applications including kiosk applications. Rest assured that applications needed for kiosk can be installed and utilised efficiently. Advanced kiosks can have an interactive interface. With its touchscreen capability, almost all of the services can be embedded on the device. Then, consumers can simply navigate these services on the screen monitor. So, consumers can get the answers they need such as buying questions on an on-demand basis. Therefore, businesses can cut back on costly managerial resources as fewer sales professionals require less management. This type of computing device is not only compatible with the latest system kiosk interface. Advanced PCs can also be integrated with the existing kiosk system in use. It has a reliable operating system that can suit the business needs. But, surely, this device can perform its functions well. It is not surprising why a lot of business owners are now shifting to kiosks as one of their marketing strategies. It offers better functionality to the consumers whilst save operating costs to businesses. As a kiosk manufacturer, wouldn’t be ideal to provide a more advanced physical gizmo to this industry? 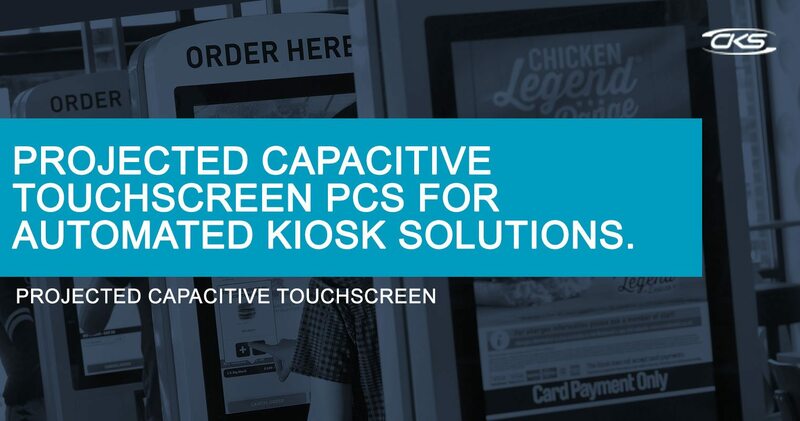 Industrial PCs with projected capacitive touchscreens can help improve kiosk capabilities. Talk to a reliable industrial computer manufacturertoday and start upgrading your kiosks today.